Ready for More? 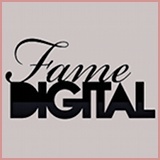 Click the Graphic to Visit Fame Digital! Description: Description not available. Featuring Sharon Lee, Chad Rockwell. From the film: Rocco's Abbondanza 7. Original release date: September 11th, 2018.